As you may have yet to realize, Cami, the line between what brings us pain and what sustains us is far thinner than one imagines. 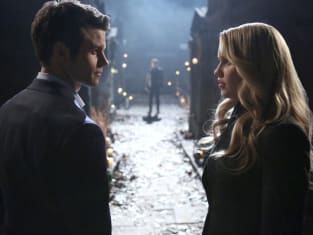 The Originals Season 1 Episode 15: "Le Grand Guignol"
Careful, Sabine, or Celeste, or whatever you like to call yourself. Sudden moves make me jumpy and homicidal. Cami: Why am I here? Elijah: Because of all the people who could be here, you're probably the only one he wouldn't immediately slaughter. The Originals Round Table: "Le Grand Guignol"